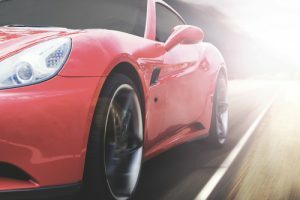 When it comes to keeping your exotic car in peak operating condition, you can’t afford to take your top-shelf investment to an everyday repair shop. You need skilled, trained and certified technicians who share the same passion for exotic European vehicles that you do. At Otto’s European, we have two decades of experience working closely with all makes, models and years of European supercar and luxury vehicles. Just because you don’t see your exact exotic car listed here, doesn’t mean we haven’t worked on one like it, because there’s a good chance that we have. What Classifies a Vehicle As an Exotic Car? Truthfully, that depends on who is using the term. Typically, an “exotic car” is a luxury vehicle, a grand tourer, or a high high-performance sports car, also known as a supercar. Some people will throw the term around a bit too loosely for our liking, to appeal to their audience or to try and sell a car. Elite automakers also use the term exotic car to refer to limited-production models or other rare releases. Exotics car will also be used as a marketing term to build interest around a prestigious or unusual vehicle. It is entirely possible for a regular car to become exotic, or for an exotic car to become more common. This has to do with engines, parts added, sound system upgrades, interior modifications, and so on. Concept cars are often considered exotic as soon as they leave the production facility. There are automakers who design cars specifically for racing purposes, and those are definitely classified as exotic. Exotic cars can also apply to a classic vehicle that is out of production and has been exceptionally maintained throughout the years or can be restored to its original form. If you own a classic Rolls-Royce from the 1960s and took good care of it, that’s a prime definition of an exotic car. Why Do Exotic Cars Require Special Services? As any vehicle owner understands, proper care and regular maintenance of any car or truck is essential for performance, fuel economy and ensuring that you don’t run into bigger issues down the road. Compared to normal cars however, exotic vehicles require a degree of knowledge, skill, and understanding that you often can’t just go to technical school and learn. The only way you can understand the intricacies and complex workings of exotic cars is to work on them and keep doing so as models change and vehicle components get upgraded, and so on. Depending on the model and the individual dealership, your exotic car might not be covered anymore under warranty, and the dealer’s mechanics won’t know how to fix an issue. This is common when it comes to exotic car repair. Sometimes, a correct diagnosis of what type of repair your exotic car needs isn’t immediately apparent. That’s why a good exotic auto repairman will be an out-of-the-box thinker, and not just always rely on what the computer diagnostics tell them. At Otto’s, this is one of our specialties, and we take great pride in repairing issues with exotic cars that the other guys can’t seem to put a finger on. If you’re ready to take your prized possession to an exotic repair shop that knows exactly what they’re doing, don’t hesitate to contact us today. No job is too small, or too big. Our diagnostics systems come directly from the manufacturers. We are Bentley and Rolls-Royce certified, which means we have access to parts from the automakers that most shops don’t get. All of our technicians are certified masters and understand the intricate ins and outs of exotic cars that you just don’t see with normal vehicles. We guarantee discreet and friendly service all the time, every time. Give us a call today for directions to the shop, or to book an appointment and protect your unique exotic car investment.